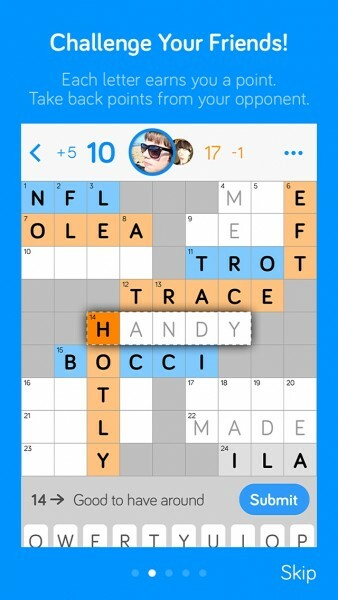 Crossly (Free) by Mercury Intermedia is an online multiplayer game that allows you to connect with others over Game Center to complete crossword puzzles. 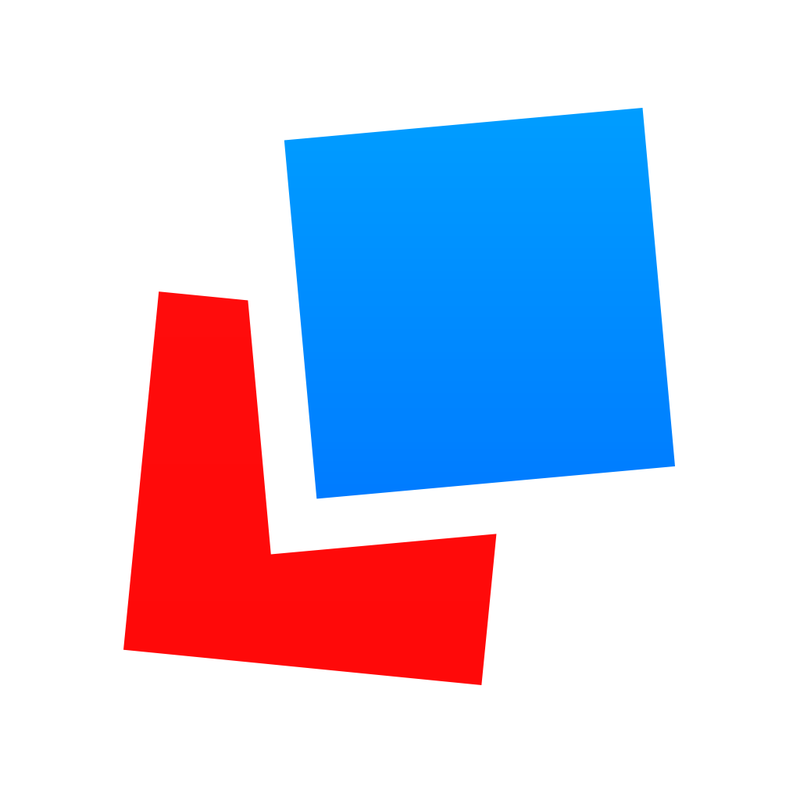 Everything about this game screams Letterpress, from the graphics and sounds to the animations and overall concept of using Game Center’s turn-based gaming capabilities. That isn’t to say that Crossly has copied Letterpress as far as the game goes, since it is a different game. 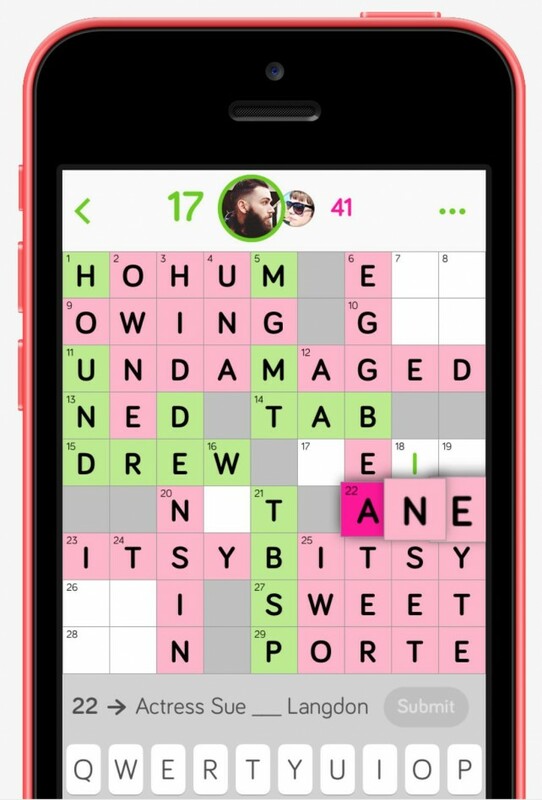 Instead, what I mean is that if you enjoyed Letterpress back when it was booming enough to destroy Game Center, you’ll love the fresh new take observed in Crossly. 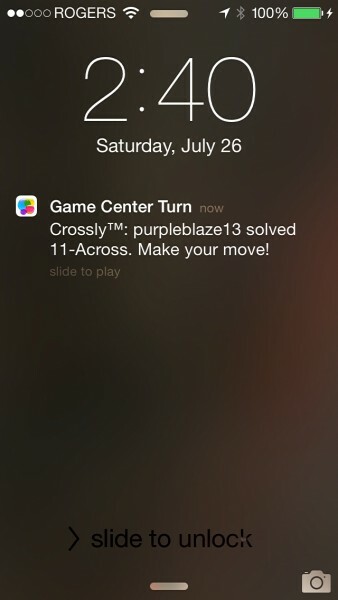 From the second you download Crossly, you can get to playing. 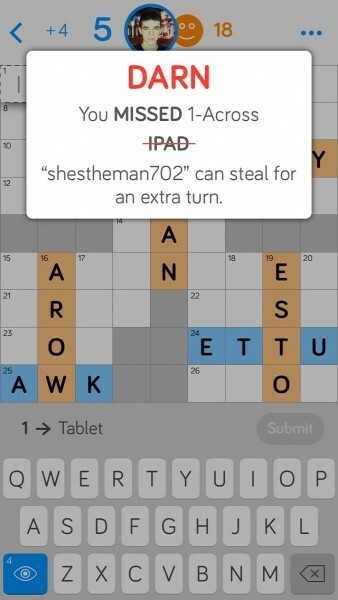 Since Apple decided to feature the game on the App Store the day it came out, there are already a great deal of players using the game, so finding an auto-matched opponent should not be a problem. 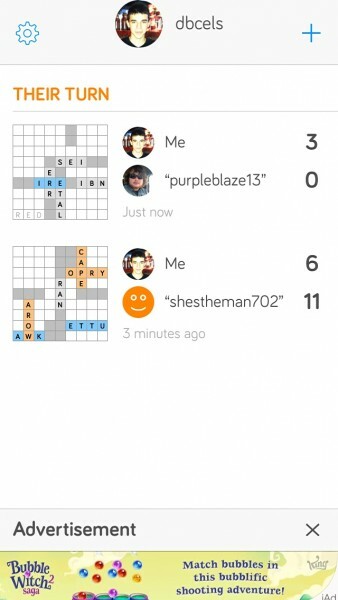 You can also invite your own Game Center friends to play against. 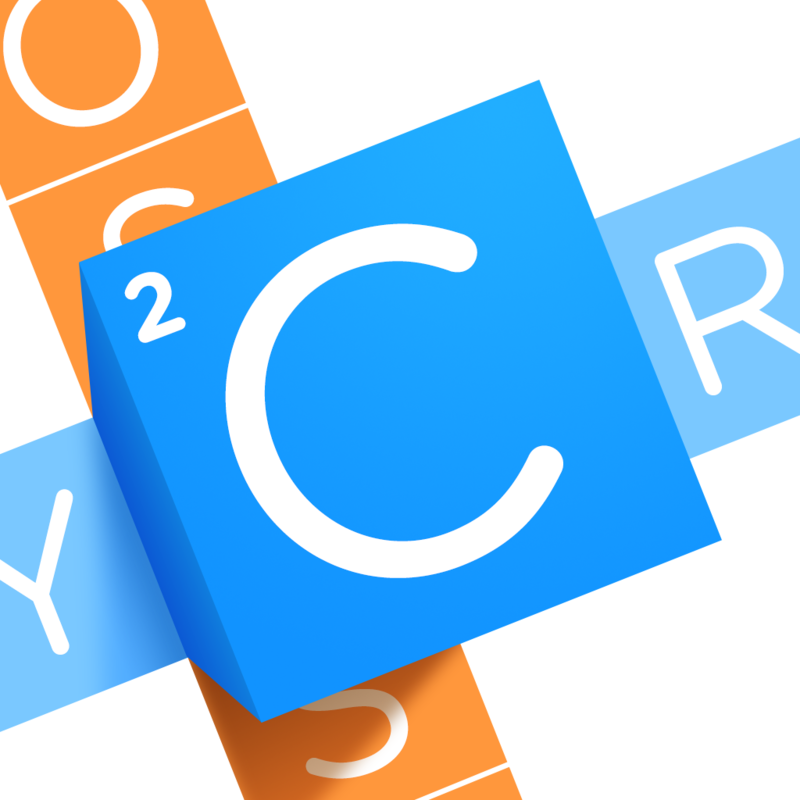 The crossword puzzles provided in Crossly are nothing new or unfamiliar. 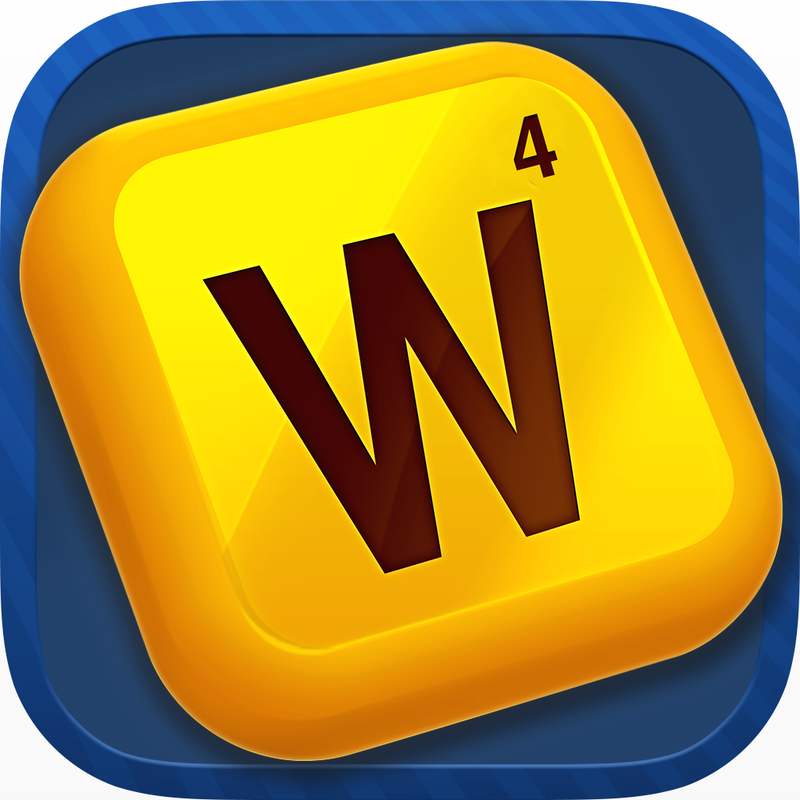 Like in Words With Friends, you go back and forth taking turns, with each player having the opportunity to play one word per turn. After tapping on any box (or tapping again to change between “down” and “across” words that the box is involved in), a full on-screen QWERTY keyboard pops up for you to enter letters based on the provided hint. The only thing that I can’t get over about this is how puzzles aren’t generated based on a category. Instead, words from all over the place find their way into your puzzles. If you’re an avid crossword player or Jeopardy! watcher, you’ll probably find Crossly to be easy. On the other hand, if you’re an average Joe like me, things might not come so naturally. After all, knowing that IBN means “son of” in Arabic names isn’t exactly common sense if you’re not Arabic, right? 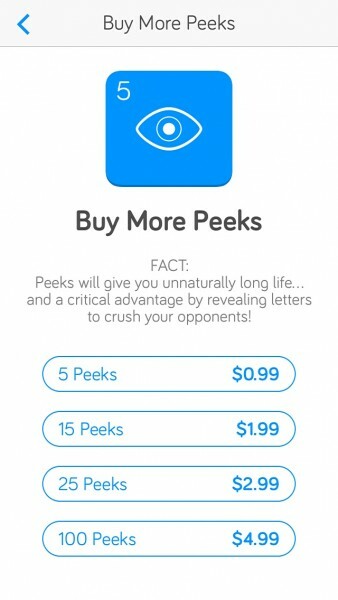 If you’re stuck at any point, there are “peeks” available, with five coming as a part of the game’s initial download. 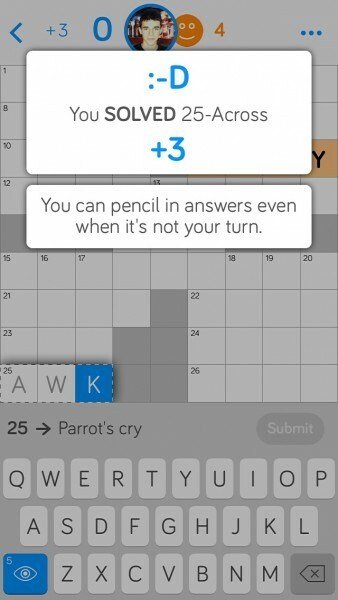 Tapping the eye button at the bottom left of the screen reveals a hidden letter in the location of your choice. If you’d like more, they’re available via in-app purchasing. Also available through in-app purchasing is the option to pay a couple of bucks – you decide how much – to unlock Premium Mode, which will hide the small ad banner on the active games screen and unlock custom color themes. 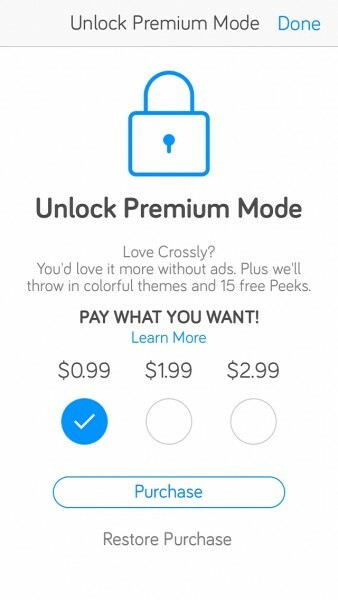 Crossly is a great deal for the price you pay, whether it’s nothing for just the free download or a buck or two to unlock Premium Mode. 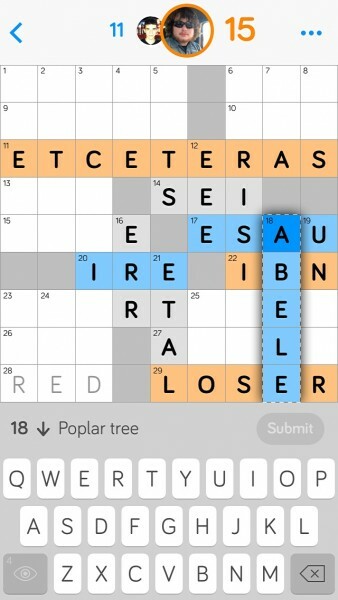 Coming from someone who was addicted to Letterpress and played for months even after it began to lose traction, Crossly is a breath of fresh air in its category. To get started in this elegant and addictive crossword puzzle game, you can download Crossly for free from the App Store on your iPhone. I think I’ll be playing this one for a while.